What do Steve Jobs and Chicago plumbers have in common? Apparently, they care about alphabetical order. I was on one of my fruitarian diets … I had just come back from the apple farm. It sounded fun, spirited, and not intimidating. Apple took the edge off the word ‘computer.’ Plus, it would get us ahead of Atari in the phone book. Apparently, this same strategy is used quite often. Choosing a name to get ahead in the Yellow Pages. Ryan McDevitt of the Simon School of Management at the University of Rochester has studied this behaviour. 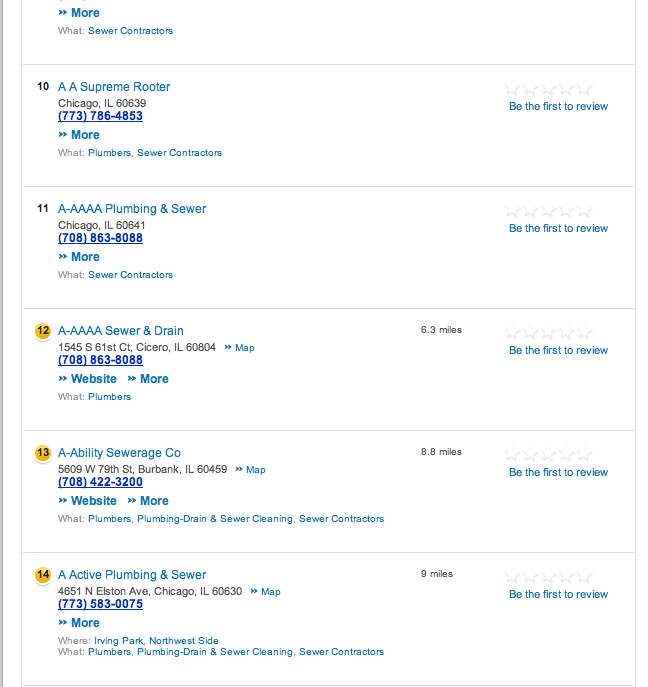 In Chicago, plumbers who begin with the letter ‘A’ are 5 times more likely to receive complaints at the Better Business Bureau than others. This is a large market phenomenon and it apparently pays off as they get higher prices too. So Jobs was employing a strategy akin to shonky tradespeople. Nonetheless, as we now know, customer complaints were hardly Apple Computer’s problem.